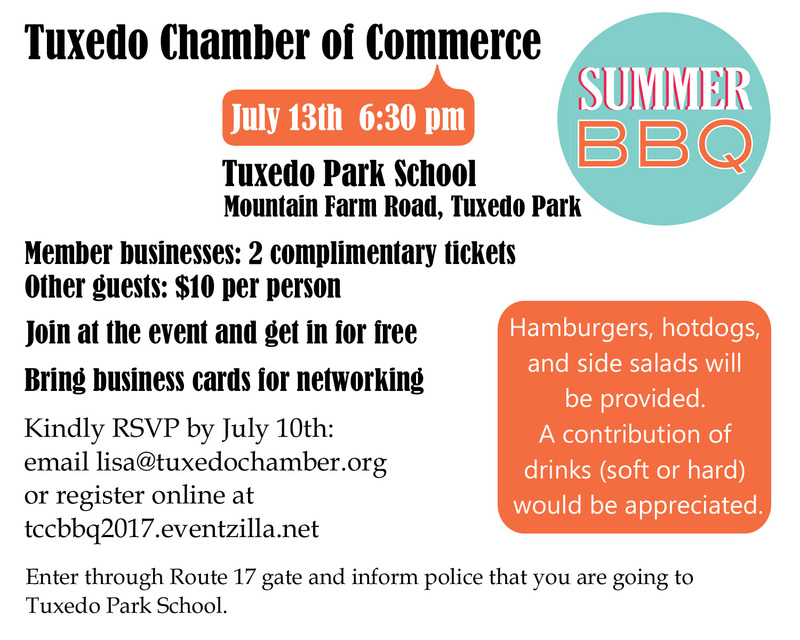 We hope you'll join us for the very popular Annual Summer BBQ. This year the event will be at Tuxedo Park School on Thursday, July 13. A big thanks to Greg Stevens and Bill Sweet for manning the grill again! The Chamber is providing the food - please bring a beverage of your choice.